So my favorite new show is OWN’s Greenleaf which I’ve been faithfully recapping each week! I’m especially excited about tonight’s episode because it looks like Charity is finally going to confront Kevin about why he is on that dang phone so much! 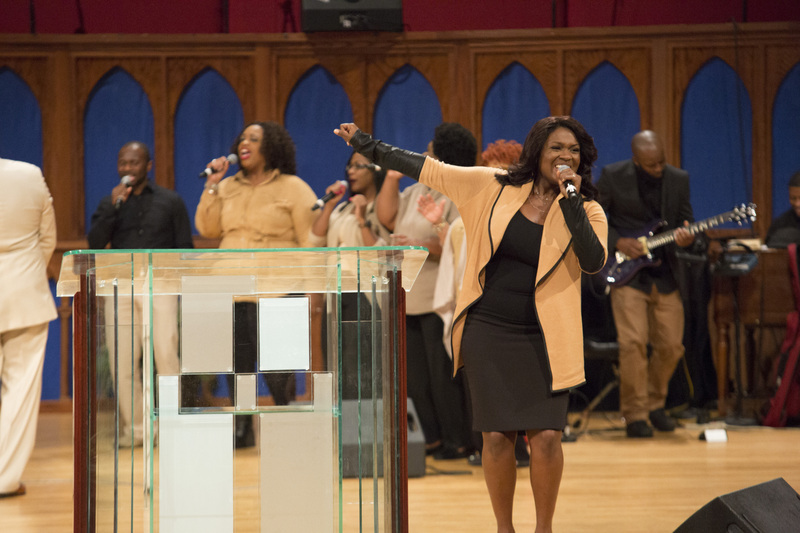 But I’m even more excited that I recently had the opportunity to interview Deborah Joy Winans (yes, of the dynamic Winans family) about release of Greenleaf – The Gospel Companion Soundtrack Volume 1 in conjunction with Lionsgate (The full 14-track album will be released on CD and digital on August 26! ), having a TV husband and real life husband, controversy in the church, playing her Aunt CeCe in the stage play “Born for This: The BeBe Winans Story” and more! Read and or take a listen below! 1. I know that you are primarily an actress, but I wanted to find out with this new gospel album coming out, is this your first album? Absolutely. It is absolutely it my first album. I’ve never even recorded a song before I did Greenleaf. So what was it like to make this album considering that you’ve never sung on an album before and yet you have this powerhouse musical family? It was very daunting. It was very challenging. It was exciting. It was definitely fun to find another way to give Charity a voice as a character you know not just in different scenes speaking, but she could actually show you who she was through her music. So that was fun to kind of uncover that and see where that could lead. So it’s been a lot of things – challenging but amazing. Did you get any advice for your family members about singing? Oh absolutely! BeBe actually Uncle BeBe was executive music producer on the show so the first time I had to record was with him. And he gave me quite a few pointers and was just really helpful and really boosted my confidence and taught me how to work the studio so it was really great. Did you get a chance to meet anyone else on the album? No, I did not. I know Melinda Doolittle, and her and I are pretty cool. And Desiree Ross who sings one song that’s on the record she sings it in the show. I think it was last week’s episode where she sang. You know we’re cast mates and so I know her very well. But nobody else I think that worked on the record. 2. What is it like to play Charity Greenleaf-Satterlee, a minister of music? It’s very exciting! It’s not extremely far from my own life where I was surrounded by music. 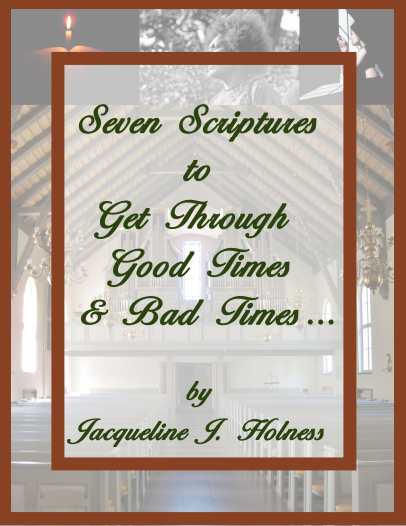 I grew up in church. I love the Lord. My dad was an elder in the church so it’s not too, too far from my own life but with Charity, it’s been fun to not just watch other people sing but for that to be more of the core of who she is. I’ve been able to learn a lot about that. Praise and worship is my favorite part of service anyway. And so being able to be the leader of our worship was really, really cool. And just bringing her to life in all aspects. She’s married on the show. I’m married in real life. So it was really exciting to see the similarities and also the differences and how to make it work. It’s been incredible. Did you even have to audition considering you come from such a powerhouse musical family? Oh absolutely because it wasn’t necessarily about the singing, and I think that’s just been a really, really cool byproduct of working on the show and being able to sing. I’ve been able to sing a lot of things through the course of the show so it’s been really cool. But I definitely had to audition you know because Charity is more than singing. 3. Obviously, Kevin, your TV husband, has a big secret that has yet to be revealed. What can we expect from Kevin and Charity in future episodes? I know you probably don’t want to give everything away but just kind of give us a little teaser. I can’t give everything away, but I think through all of the little things that are kind of being shown to the audience, I think the bigger picture is that he really loves her. And she really loves him. So I think you will continue to see their love story but also the trying…He’s complicated. He’s very complicated and so you’ll see that unfold but you’ll also see the love they share unfold and how that’s going to work. Will it work? Will it not work? We’ll see. 4. You mentioned that you are you married in real life. What is it like to have a TV husband and a real husband? (Laughter) Well, you know the real husband always wins! My husband is amazing. He’s so supportive and just incredible. He’s smart. I definitely feel I have the best husband in the world. But it’s been fun because we talk about being married for three years on the show, and I’ve actually been married for just a little over three years in real life and so I’ve learned quite a bit. I’m sure that there is quite a bit more to learn but being able to have that background and bring it into the show where I’m working with Tye who plays Kevin was just really fun. When we did our research and our homework, I was able to tell him some things about how married life works. It’s really a great parallel to have for working on this specific character. And now you’re pregnant on the show, do you have any children in real life? I do not. I’ve got two nieces and three nephews so that’s about all of the kids I have right now. I spoil them rotten and send them back home. Hopefully, in the future if the Lord blesses us to have kids of our own, that would be awesome. 5. 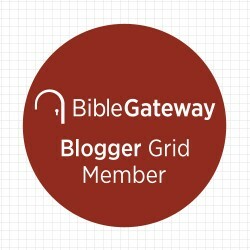 Considering all of the drama on the show, do you think the show is casting a negative light on megachurches, the church in general or even faith and Christianity? I’ve heard some feedback regarding those issues so what do you think about it? I don’t think so. First, I think we have to recognize is that it is a show written for TV. So it’s drama. And it’s not based on any real life scenario. It’s a show about family, but church is really the backdrop. It’s a show about a family and all of their flaws. I think that people relate to the show. And I think that they like it because they see real people and they see real people dealing with real problems. And they see how they deal with it. Sometimes, they deal with it the right way and sometimes they deal with it the wrong way. But that’s life. And I think that’s the attraction to the show. It’s real life. You see this beautiful family and all of their flaws and how they handle it. It’s about them. It’s about their family. They just happen to run a church. 6. And you mentioned that it’s entertainment and so with all of the issues the show has already addressed from greed, child molestation, the Black Lives Matter movement, what do you feel or what has been communicated to you is the intent of the show beyond entertainment? Is it supposed to be an exposé type of thing or what do you think? 7. I know you’re currently starring in “Born For This: The Bebe Winans Story.” What is like to play your Aunt CeCe in the stage play? And you do look a lot like her. I know. It’s crazy. It’s been such a wonderful and humbling experience. I think she’s incredible. Clearly nobody can be her but her, but it’s been really beautiful to try to fill those shoes every night and nd give people this person that they’ve loved for so long. Just touch a little bit on some of the music and a little bit of who she is. I think she is one of the most incredible people in the world. I call her Mama C because she’s been like a mother to me. And it’s a real honor. And for her to tell me that if anyone was going to play her, she hoped that it would be me. That just made it all the more exciting to do. Malaco Records, the legendary Jackson, Mississippi-based soul/blues/gospel label, has announced the release of Greenleaf – The Gospel Companion Soundtrack Volume 1 in conjunction with Lionsgate, a premier next generation global content leader. The album is a musical reflection of the hit OWN: Oprah Winfrey Network original drama series Greenleaf. Malaco’s dominant role in the gospel music field led the series’ producers to join forces for the creation and release of this very special album. The album’s tracks, produced by Tim Lauer, Russell Ziecker and BeBe Winans, are rolling out digitally on a track-by-track basis. Click HERE to hear “The Master’s Calling” (which is beautiful) featuring the voice of Deborah Joy Winans who portrays Charity Greenleaf-Satterlee in the series. 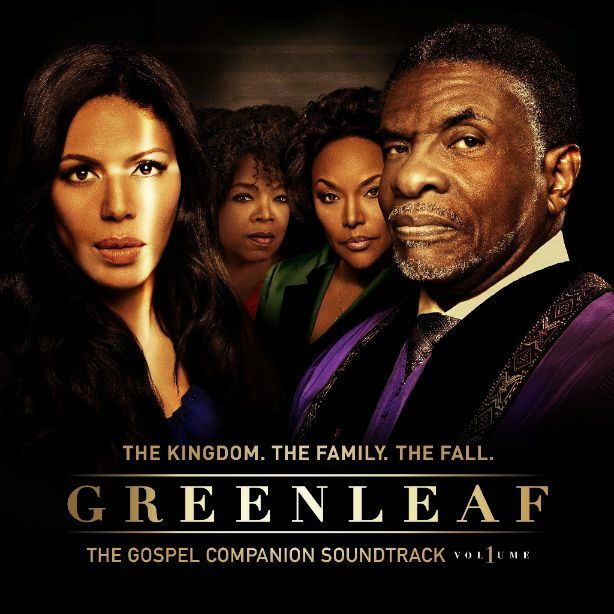 Greenleaf – The Gospel Companion Soundtrack Volume 1 is executive produced by Oprah Winfrey, Craig Wright and Russell Ziecker. Ziecker and Tim Lauer are soundtrack producers. What’s the name of the song you sung (Oh, so beautiful)?